2. Post 12 fun facts about yourself. 3. 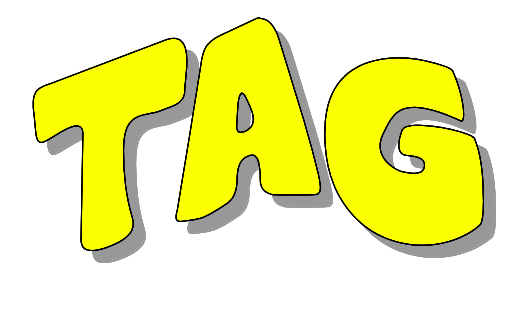 Answer the questions the tagger set for you in her post, and then create 12 new questions for the ones you tag. 4. Tag 12 people and link them in your post. Rebecca at TheTeachersChatterbox tagged me! 3. Do you like to cook? no If so, what dish have you perfected? 5. What is your guilty pleasure? Reading books ALL THE TIME! 12. What is your most memorable teaching moment? I have too many to list. Kayla at Primary Junction also tagged me! Of all the places you have ever visited, which is your most favorite and why? Boston, it’s a beautiful city. What is a weakness that you have as a teacher? I take my kids’ problems home with me. What is a strength that you have as a teacher? I see them as individuals rather than collectively as a class. Jessica at Apples and Papers also tagged me! 3.What was your favorite thing about school when you were a student? I loved math! 4. What do you wish you were better at? Keeping up with the laundry. I hate laundry! 9.What is your least favorite chores? Laundry, if I never folded another pair of socks it would be too soon! 11.Who or what inspires you? ?? 1. My birthday is the same day as Dr. Seuss’ birthday. 2. I have taught for 20 years. 3. I have taught in 3 different states. 4. I have 1 child. 6. My 3 favorite foods are Tex Mex, Greek, and Lebanese. 7. In our 22 years of marriage, we have bought 6 houses. I could be a professional stager or real estate agent. I think we are done now. YIPEE! 8. My two favorite stores are book stores and office supply stores. 9. I enjoy yard work which makes my husband very happy because he doesn’t have to do it! 10. Our house is a tribute to rubbermaid. We should buy stock in the company. 11. My favorite flower is the calla lily. 12. I’m very scent oriented. I am always burning a candle when I’m home and I always wear perfume. 1. Do you prefer chocolate, strawberry, or vanilla? 2. Who is your favorite recording artist? 3. What is your favorite cereal? 4. What color is your vehicle? 5. Name 3 songs on your iPod. 6. Do you prefer winter or summer? 7. Do you prefer mountain hideaway or beach house? 9. What is your favorite t.v. show? 10. What are you really afraid of? 11. What is your favorite restaurant? 12. What is the best thing about teaching? Father of the Bride is a great movie! Thanks for participating in the blog tag!